The 49ers may have no interest in anything San Francisco, except in name, but the City doesn't seem to care. San Francisco supervisors have approved a massive redevelopment project on land formerly occupied by a Naval shipyard in the City's Bayview-Hunters Point neighborhood. The board of supervisors voted 10-1 on Tuesday in favor of the plan, which includes more than 10,000 residential units, retail and entertainment facilities and parks and open space on 702 acres of land. The proposal also includes a new stadium for the San Francisco 49ers although the team has indicated it plans to leave the city for Santa Clara. Supervisor Chris Daly was the lone dissenting vote. He said the project does not include enough affordable housing and would lead to the neighborhood's gentrification. 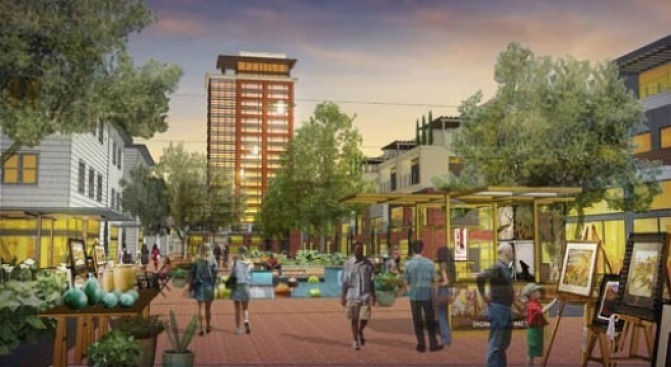 Officials with the project's developer, Lennar Corp., say they must now line up financing.